Mild (Grade I) — The wrist's ligaments are stretched or have microscopic tears. 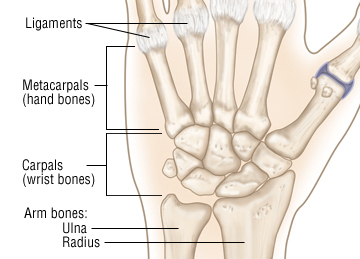 Moderate (Grade II) — The damage is more severe, and some wrist ligaments may be partially torn. Severe sprains (Grade III) — One or more wrist ligaments are entirely torn or torn away from where they normally attach to bones.